The most awaited Television Reality Show 'Nach Baliye' is back with its 8th season, which has already created a lot of buzz with some popular celebrity names, appearing as contestants on the show. 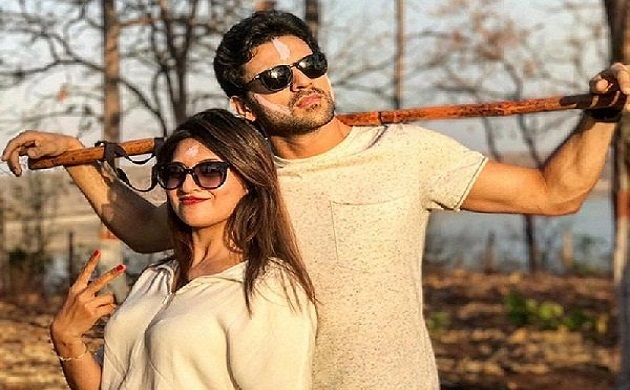 From newly-wed Divyanka Tripathi and Vivek Dahiya to funniest female comedian Bharti Singh and her fiancé Harsh Limbachiyaa the show shall see lot of drama and emotions. Nach Baliye has been known for bringing celeb couples together and celebrating the spirit of their relationship through dance. The new edition of Nach Baliye is judged by our very own Bollywood diva Sonakshi Sinha, choreographer Terence Lewis and director Mohit Suri. The show will air on Star Plus on Sunday, April 2. 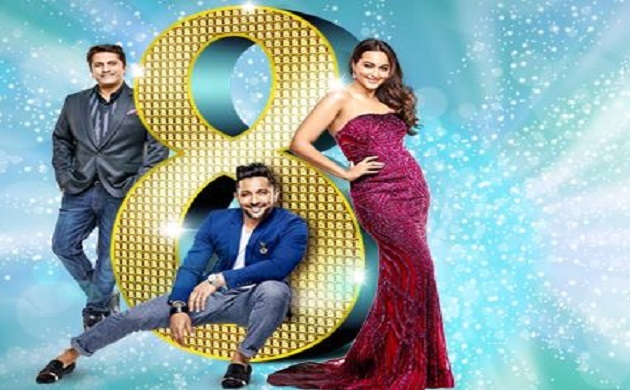 After a lot of speculations over many couples like Indian cricketer Yuvraj Singh and his actress wife Hazel Keech, the confirmed list of Nach Baliye 8 participants are out. Let us see what is so special about every couple. Yeh Hai Mohabbatein fame Divyanka Tripathi and her co-star Vivek Dahiya are Indian television’s most followed couple. Beautiful Divyanka and Handsome hunk Vivek have definitely set standards for wedding goals. Divyanka and Vivek didn't have love-at-first-sight but you know what they say, when it's meant to be it will be. So the stars felt apart, after dating for months, the couple married each other and their love story is no less than a fairy tale. Comedy Queen Bharti Singh has broken several stereotypes and been a role model for women in India. 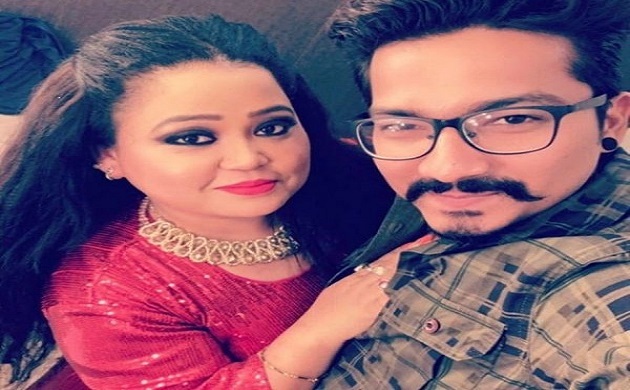 Harsh who is a writer by profession met Bharti and the two started dating which then turned into a serious relationship and now both are coming together for the dance reality show. It will be interesting to see if this opposite attracts pair’s chemistry sizzles or fizzles. Indian television’s cutest couple, Sanaya Irani and Mohit Sehgal, met on the sets of Miley Jab Hum Tum in 2008 and instantly connected and dated for nearly eight years before marrying in January last year. TV’s sweethearts make a gorgeous couple and we have seen their chemistry in daily soaps but now we are waiting to see Sanaya and Mohit display their crackling chemistry in various dance forms on Nach Baliye 8. 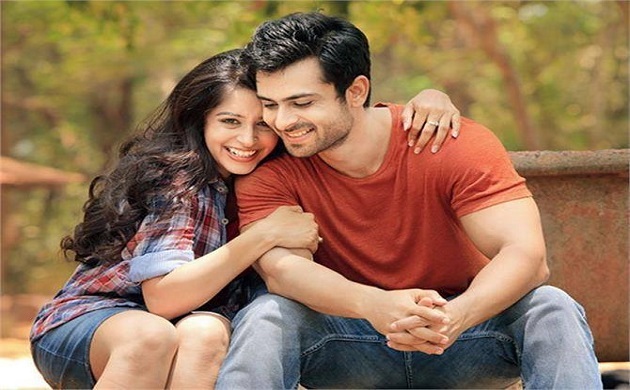 The Television TV star, 'Sasural Simar ka' fame Dipika Kakkar aka Simar along with her boyfriend of two years, telly actor Shoaib Ibrahim is all set to romance on screen together on the show. The couple met on the sets of their show and later started dating. 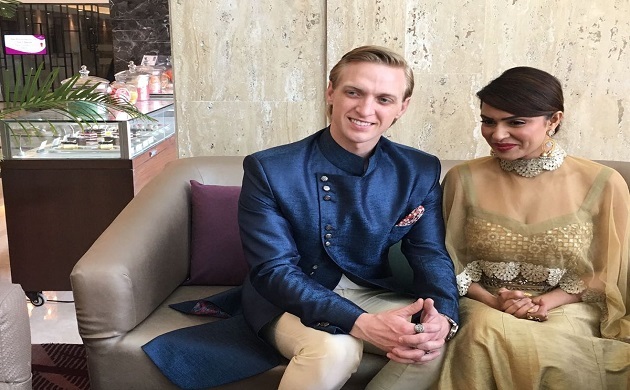 Aashka Goradia and her American fiancé Brent Goble are the celebrity contestants of Nach Baliye 8 who are drawing a lot of eyeballs. Goble and Goradia met at an event in the US and the weapons instructor and range safety officer from Las Vegas had the actress wooed completely. Nach Baliye is a great platform where Aashka and Brent can nurture their relationship even more. RJ Pritam Singh is participating with his wife of seven years, Amanjot who is a Punjabi actress. We are quite familiar of Pritam’s cute mannerisms since his radio days when he hosted Pritam Pyare show to his participation on the controversial reality TV show, Bigg Boss season 8. Pritam was the first guy Amanjot met in Mumbai, whilst working together for a play. The couple was dating for almost two years after which they parted ways but got back again. This time, they got married in 2011. 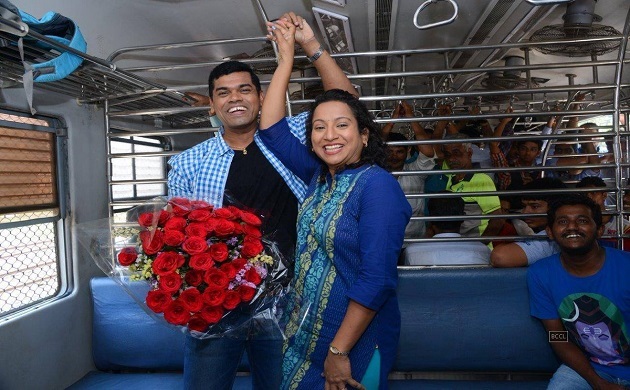 We have seen Siddhartha’s insanely funny impersonations on Sony TV’s Comedy Circus seasons, now he is all set to participate in dance reality show, season eight of Nach Baliye with wife Trupti Jadhav. We had heard their sweet love story when Siddharatha pursued Trupti during his struggling days and finally married each other. The Bhojpuri actors’ pair married on the national television. Actress Antara Biswas aka Monalisa decided to get hitched to long-time boyfriend Vikrant Singh Rajpoot on Salman Khan hosted Bigg Boss 10 show in front of the millions viewers. Amidst tasks and controversies galore, Monalisa and Vikrant got into wedlock. Even though their relationship and on-screen marriage was speculated to be fake, Monalisa later confirmed that she and Vikrant were very much together. Who can forget Utkarsha Naik’s ‘Hello Hi Bye Bye’ phrase she spoke as Manorama Raizada from Star Plus hit daily soap Iss Pyaar Ko Kya Naam Doon? The versatile actress is one of the known faces of the industry. Now she is all set to feature as a contestant along with her husband Manoj Verma, who is an actor, director and head of the famous theatre company, Ambrosia Theatre Group. After 20 years of togetherness, the couple will be seen celebrating love and companionship. Abigail Pandey of Humse Hai Liife fame is ready to rock and roll with her choreographer boyfriend, Sanam Johar. Sanam is trained dancer who first came to the limelight when he participated on Dance India Dance show on Zee TV. The duo started as friends but later on took their relationship to their next level and started dating each other. Now we shall see their chemistry on screen together on the dance show.